It’s no surprise that Americans have a bad reputation when it comes to waste. 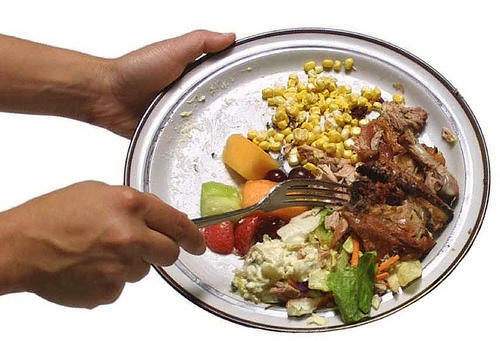 Every year, Americans waste about 600 pounds of food per person. The average U.S. family throws out approximately $1350 worth of food annually. Author Jonathan Bloom says food resource management is of the utmost importance. UNC system campuses are making conscious efforts to reduce their food waste and educate students about sustainable food practices. Join us for a conversation about food waste reduction with Jonathan Bloom and others. In May, the USDA enacted a controversial set of rules for meat labeling, requiring retailers to provide information on where the meat was born, bred and slaughtered. Though the new measures have been met with criticism from the meat industry, consumers have shown strong support for the more specific labeling.